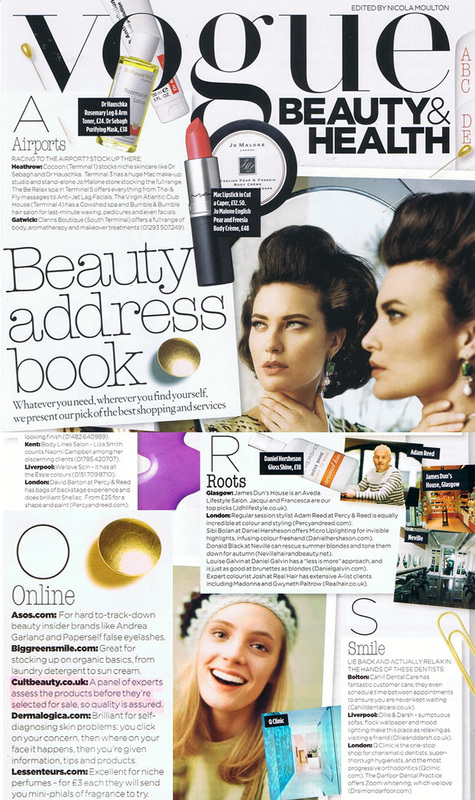 This November's edition of Vogue UK has whittled down a list of the Best of Beauty services for this year's Ultimate Beauty Address Book. Cult Beauty has been picked for their, 'Where to shop online' section. We are absolutely honored to be included, and in such great company! Thanks for this grand post, I am glad I detected this internet website on yahoo. It actually is perfect time to make several plans for the future and it is time to be happy. Iâ€™ve read this post and if I could I desire to recommend you few valuable points or advice. Maybe you are able to publish next articles referring to this post. I want to read far more items about it! You produced some decent points there. I looked online for the problem and found most people might go as properly as making use of your internet web site. hello!,I love your writing very a lot! share we be in contact more approximately your article on AOL? I need a specialist on this space to resolve my problem. May be that is you! Having a look forward to look you. Well done and congratulations! All the hard work is starting to pay off.